Sweden Government provides institutional support to Centre for Democracy and Rule of Law (CEDEM). In particular, the support of Sweden Government is directed towards the improvement of the strategic, operative and financial management. Centre for Democracy and Rule of Law has already held an organizational and financial audit within the cooperation. 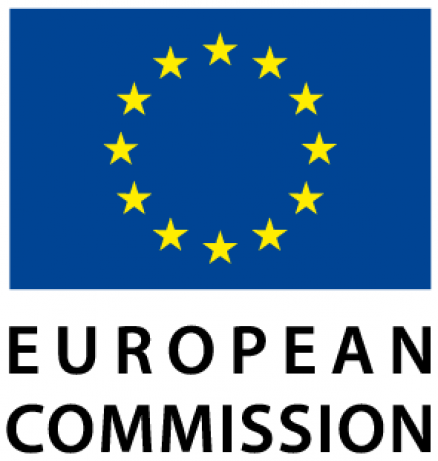 European Union through European Commission provides Centre for Democracy and Rule of Law with the support for implementation of the project of “Emergency reform package (ERP) – support for constitutional, anti-corruption and legal reform in Ukraine”. Support for campaign “CHESNO. Filter the Judiciary!” is provided by USAID/ENGAGE, which is funded by the United States Agency for International Development (USAID) and implemented by Pact, Inc.
United Nations Development Programme (UNDP) provides financial support to Centre for Democracy and Rule of Law aiming at performing the project of “Emergency reform package (ERP) – support for constitutional, anti-corruption and legal reform in Ukraine”, particularly, for ERP regional component development. International Media Support (IMS) is a non-profit organisation working with media in countries affected by armed conflict, human insecurity and political transition. Across four continents, IMS helps to strengthen professional practices and ensure that media and media workers can operate under challenging circumstances. IREX is a partner of CEDEM in implementing the joint project “Freedom of Media Support”, which is funded by the European Union and is implementing by a consortium led by IREX Europe. 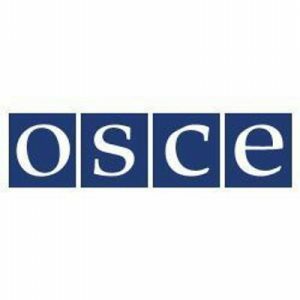 The project includes media law training and increasing the capacity of NGOs, lawyers and media representatives as well as improvement of the access to the ECHR and its proper procedure – to support and promote freedom of media and expression and the right to a fair trial and proper procedure in Russia, Azerbaijan and Ukraine. Internews – international organization, whose mission is to empower local media worldwide to give people the news and information they need, the ability to connect and the means to make their voices heard. Internews works in more than 70 countries, and currently has offices in Africa, Asia, Europe, the Middle East, Latin America and North America. In Ukraine, Internews Network implements the project “U-Media”, aimed at strengthening of independent media. International Renaissance Foundation provides support to Centre for Democracy and Rule of Law aiming to realise a project “Development of reformative NGO organizational potential (RPR). The Council of Europe is the continent’s leading human rights organisation. Supported by international organization Campaign for Tobacco-Free Kids, the Centre for Democracy and Rule of Law’s project “Kyiv without tobacco smoke” is implementing. Centre for Democracy and Rule of Law is co-initiator and performs general coordination of the public initiative “Reanimation Package of Reforms” –association of civil society activists, experts and journalists to advance reforming of the country. Centre for Democracy and Rule of Law also coordinates reforming of media sphere within the “Emergency care reform package”. Centre for Democracy and Rule of Law is co-initiator and active participant of the “CHESNO” civic movement, which evaluates the MPs’ integrity and controls their activities. Centre for Democracy and Rule of Law is active participant of the journalist movement “Stop Censorship!”, which aims at defending freedom of speech, prevention of establishing censorship in Ukraine, impeding professional activities of journalists and violating professional standards while covering social and political issues. Centre for Democracy and Rule of Law is an active participant of the Coalition through the Smoke Free Kyiv project. The Coalition fight for health of Ukrainians and their protection from the tobacco damage. Centre for Democracy and Rule of Law is a legal partner of the journalist investigative program “Schemes” – the joint project of “Radio Freedom” and “First National” TV channel. “Schemes” is a program of investigation of large-scale corruption in high authorities. 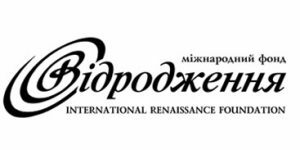 Ukrainian Center for Independent Political Research – non-governmental non-profit analytical organization, which has a mission of promotion of the values and democratic procedures into the public policy and administrative dimension. Institute of Mass Information is a Ukrainian non-governmental organization that is researching the phenomenon of media in modern society. IMI’s activities are: protection of freedom of speech, promoting the development of Ukrainian journalism, public opinion research and other phenomena connected with the formation of mass consciousness. Ukrainian and foreign journalists founded IMI in October 1995. NGO “Detector Media” – anatical center and media platform, created to support development of democratic, free and professional media in Ukraine and form a critical and educated audience. 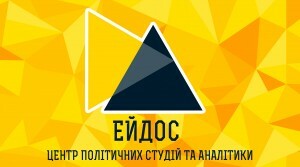 NGO Center for Political Studies and Analysis “Eidos” is analytical and training NGO, founded in 2005 to bring together public efforts to build civil society, democratic institutions and effective local government in Ukraine. The main objectives of “Internews-Ukraine” are formation of independent and pluralistic media in Ukraine; raising standards of journalism; improvement of the legal framework governing relations in the field of media in Ukraine; development of new media; establish cooperation between the media, the third sector and the government, and support for Ukraine’s European integration. The “Life” NGO is working on implementing systematic changes in the tobacco control sphere in Ukraine. The Ukrainian Media Business Association is a voluntarily, non-government, non-profit organization – the association of publishers, who united their efforts to promote the development of the printed media, and make efforts to increase its advertising capacity, to simplify rules and regulations, to improve the business environment, and to increase its investment attractiveness. ARTICLE 19 is an independent human rights protection organization that is working all over the world to protect and promote right to freedom of expression. The name of the organization comes from the title of Article 19 of the Universal Declaration of Human Rights that guarantees the freedom of speech. Ukrainian Helsinki Union – All–Ukrainian association of human rights organizations, which aims at facilitating the practical implementation of humanitarian articles of the Final Act of the Helsinki Conference on Security and Cooperation in Europe (OSCE) in 1975, other international legal instruments adopted for its development, as well as other obligations of Ukraine in the field of human rights and fundamental freedoms. Regional Press Development Institute (RPDI) – a non-profit NGO, founded in August 2006, which promotes the development of civil society through the development of an independent, viable and pluralistic media in Ukraine. The main activities of RPDI include: regular training programs for media professionals in accordance with industry demand; partnerships, internship, exchange of information and experience between media of Ukraine and of other countries, support of useful information resources (researches, guides) for the sphere of media.